This spacious 2 bedroom boasts a location that can not be beat. Whether you are here for business or leisure, you'll appreciate the modern design features throughout the apartment. 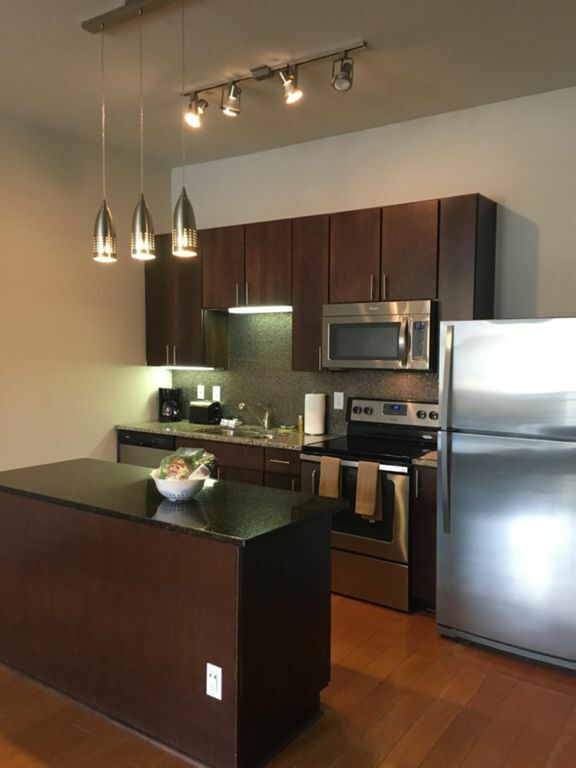 From hardwood floors in the living area with Juliette balcony access to the convenience of in unit laundry to the stainless appliances and granite countertops in the kitchen, the open design and large windows create an open, welcoming space you'll love calling home while you are here. Gables West Avenue lets you access Austin's rich history, thriving entertainment scene, and remarkable architecture, all in the heart of downtown Austin. We are within walking distance of some of the most interesting and eclectic local restaurants and entertainment venues in the Austin area. From unique dining experiences, to comfortable favorites, you'll find something to satisfy whatever you are craving. We'd also recommend getting to know some of our local coffee shops and their friendly staff. There is also a fantastic variety of theaters, cinemas, museums, and art galleries. If you are looking to tap into Austin's lively nightlife, you will have no shortage of options; from live entertainment to signature cocktails, all the bases are covered. Looking for a place to stay where you can also conveniently attend SXSW? We are a mile from the Austin Convention Center. We look forward to hosting you, and helping you embrace all that helps "Keep Austin Weird."